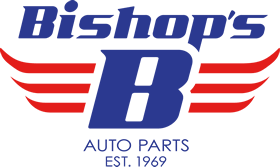 We are proud to say that this is Bishop’s Auto Parts standard warranty. We stand behind all of our in-stock parts for a period of 6 months from the date of purchase. This applies to all in stock parts sold at Bishop’s Auto Parts unless otherwise stated on the front of the invoice. There is no reimbursement for labor cost. This warranty is non-transferable. This extended warranty covers the original purchaser for a 1 year period against product failure for the cost of the part. We shall at our digression either replace the part or refund the original purchaser the amount paid. There is no reimbursement for labor cost. This warranty is non-transferable. This extended warranty covers the original purchaser for a 1 year period against product failure for parts and labor costs capped at the Mitchell flat rate guide and at $65 per hour. All labor must be performed by a licensed repair facility. All claims must be authorized by Bishop’s Auto Parts prior to any repair. Any defective part along with documentation must be made available for inspection to the supplier upon request prior to any claim being paid. This warranty is non-transferable. This extended warranty covers the original purchaser for a 2 year period against product failure for the cost of the part. We shall at our digression either replace the part or refund the original purchaser the amount paid. There is no reimbursement for labor cost. This warranty is non-transferable. This extended warranty covers the original purchaser as long as you own your car against product failure for the cost of the part. We shall at our digression either replace the part or refund the original purchaser the amount paid. There is no reimbursement for labor cost. This warranty is non-transferable. fitness for a particular use are limited to the same number of days as the limited written warranty. returns are subject to a 25% restocking fee.